In Jody Wilson-Raybould’s view, the question of her status within the Liberal caucus amounted to nothing less than a referendum on the soul of the Liberal Party itself. “Ultimately, the choice that is before you is about what kind of party you want to be a part of, what values it will uphold, the vision that animates it, and indeed the type of people it will attract and make it up,” she told the Liberal parliamentary caucus in a letter Tuesday. Liberal MPs apparently weren’t convinced that her continued presence in caucus meant all that much. Hours later, confirming the expulsion of both Wilson-Raybould and Jane Philpott, Prime Minister Justin Trudeau opted for another choice of words. “Civil wars within parties are incredibly damaging because they signal to Canadians that we care more about ourselves than we do about them,” Trudeau said Tuesday evening, casting back to the infighting that dominated earlier eras of the Liberal party. 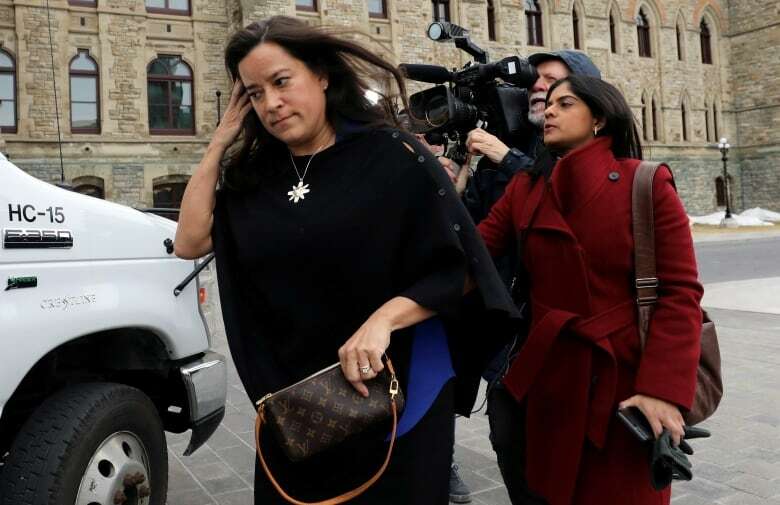 As has been the case since the beginning of this saga, much depends on whether you accept Wilson-Raybould’s interpretation of events. But then, even people as accomplished and talented as Wilson-Raybould and Philpott might not have been elected in 2015 if they hadn’t run as Liberal candidates, or if the Liberal party hadn’t been led into that election by Trudeau. That’s the party system of government for you — a system that still works, however obnoxiously partisans often behave. For all that Wilson-Raybould had to say in her two-page letter to caucus, it was perhaps most notable for what she didn’t say. At no point did she state that she has confidence in Justin Trudeau or that she supports him as the leader of the Liberal Party and prime minister of Canada. In fairness, maybe it wasn’t relevant. Maybe it shouldn’t be. But her reluctance to say publicly that the prime minister should continue to be the prime minister did make things awkward, and could’ve been particularly tricky on the doorsteps in Vancouver-Granville this fall. “To have confidence in the government doesn’t mean you agree with everything that the government does or the prime minister does. I have disagreed,” Liberal MP Rob Oliphant said on Monday. “But I have confidence in him and I have confidence in the government to be making the right moves on moving Canada ahead. Mind you, Philpott did manage to tell a reporter on Tuesday that she still supported the prime minister. Apparently that wasn’t enough. Or maybe it was too late. “I’m looking for a sign from that (Wilson-Raybould is) prepared to work with us to resolve these issues. I haven’t seen that sign yet. I’ll say very candidly, everything that she’s done so far seems to have been designed to cause damage,” Liberal MP Ken Hardie said on Tuesday afternoon. People will argue about who is most to blame for the harm done to the Liberal government over the last two months. But Liberals seem to believe Wilson-Raybould and Philpott didn’t do very much to limit the damage. And one can understand why the members of a team might not take kindly to a teammate they saw as unnecessarily hurting the team’s chances of victory. Others might find the content of the phone call to be more important than the fact it was recorded. But those who have decided that Trudeau was part of something unforgivable here probably weren’t going to be convinced by anything the prime minister had to say on Tuesday. Nearly everything about Trudeau has been under attack over the last two months. And now Wilson-Raybould has framed her expulsion as confirmation of the worst things Trudeau’s detractors have alleged. The civil war might be over (or pre-empted). But an election looms. Trudeau and the Liberals have six months to push past Jody Wilson-Raybould’s referendum and find a way to say more about themselves than Wilson-Raybould would have her expulsion say about them.